The ‘Down on Deptford Broadway’ Tour rocked! How amazing to see so many familiar faces, meet new ones and to hear everyone singing along to new songs. I’m so institutionalized into tour life now I find it hard to think about anything other than where the hotel is, when’s load in, when’s sound check and most importantly – where’s the rum? Which is all very confusing when I wake up in my own bed! There are some obvious highlights of the tour…recruiting Sean McGowan as shanty man, Dan drunkenly mistaking Party George for our taxi driver and asking how much he owed him, everyone at the O2 Islington Academy show singing along to Bonny Away and Dan doing some Elvis Presley style crowd hand shaking! A few ‘off duty’ highlights (that we happen to have pics of.!) include a visit to the oldest pub in England – the amazing Jerusalem Inn in Nottingham. A stroll around the Yorkshire Sculpture Park and Ice creams in Norwich. Lovely stuff! Our first trips to Leeds and Sheffield were a massive surprise and so much fun – sorry to the reviewer who I pushed over but still gave us a good review! Thank you. Singing and dancing in a market square in Norwich took us back to old days whilst a night out on the town with our mate Beans On Toast after the gig almost finished us off! To end the tour in my home town of Leicester in the O2 Academy was an amazing finish! Thanks to everyone who flew over from Europe to join the tour too! I don’t think the Belgium girls who we kidnapped and took to the Forge for the after party knew what had hit them. So much fun! 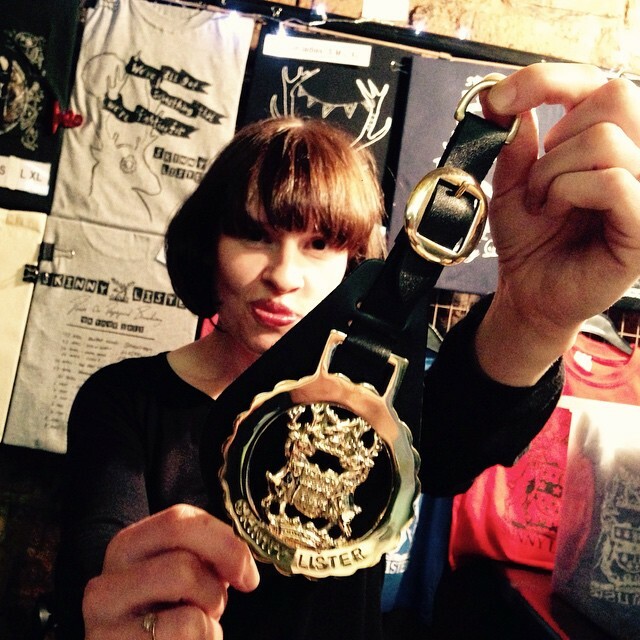 And a massive hangover now…Skinny Lister CANNOT wait to get on the road and party some more with you fine folk. Once again – big thanks to the amazing Seán McGowan for being such a pleasure to be on the road with. If you enjoyed Seán’s stuff, or you didn’t catch him at the shows, we urge you to check him out here: SEÁN MCGOWAN. And a final thank you and big shout-out to our unsung hero of the tour – Luke, who took care of business on and off stage and kept the Skinny machine chugging along nicely. Cheers Luke! And there are lots of exciting things that we can’t announce yet both here in the UK and across the pond….People of America hold on to your hats! Thanks for putting so much time and energy into touring – you have restored my enthusiasm for live music !! The new album is superb – love every song for a variety of reasons !! Couldn’t be assed going to Cropredy until I saw you on the line up !!! saw y’all in Pittsburgh opening for the Murphys. Hooked ever since. Since Mr. Turner is heading across the pond, so hoping you guys will do some shows together.